I was born and raised in Steeleville, IL where I attended and graduated from Steeleville High School. During my high school days, I was actively involved in the basketball, baseball and golf teams, Future Business Leaders of America (FBLA) and National Honor Society (NHS). I then proceeded to Southern Illinois University in Carbondale where I graduated with my Bachelor of Arts in Biological Sciences with a minor in Chemistry. I was then accepted to chiropractic school and enrolled at Logan College of Chiropractic in Chesterfield, MO. While in chiropractic school, I became involved in many extra-curricular events, activities and seminars to enhance my knowledge and skills in diagnosing, treatment and rehabilitative procedures beyond what is taught within the chiropractic curriculum. Such events were hosted by an array of individuals and groups consisting of Stuart McGill, PhD, Motion Palpation Institute (MPI), Graston Technique etc. In return for my efforts I became certified by the Motion Palpation Institute (MPI) in spinal, extremity and pelvic adjusting. In addition to graduating from Logan College of Chiropractic with a Doctorate of Chiropractic degree I received an additional Bachelor of Science degree in Human Biology. 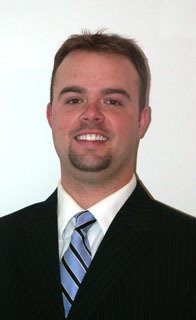 After graduating, I worked as an associate chiropractor for 1st Priority Medical Center in Murphysboro and Marion, IL. Working in a multi-disciplinary clinic consisting of myself and two veteran chiropractors, a medical doctor, a certified nurse practitioner and a certified medical rehabilitation specialist, has helped me develop more of a vast knowledge of the healthcare field, patient care and business skills. In my spare time I enjoy being with my friends and family. I also am a die hard hunter. I have been an avid hunter since I was very young, hunting everything from waterfowl, deer, turkey, frogs, squirrels, dove, to quail. Other interests include golf, boating, water-skiing and traveling. Copyright 2006-2019 Southern Illinois Spine & Joint Center. All Rights Reserved.